US market will see the Samsung current flagship which is none other than Galaxy Note 7 on 19th of this August. 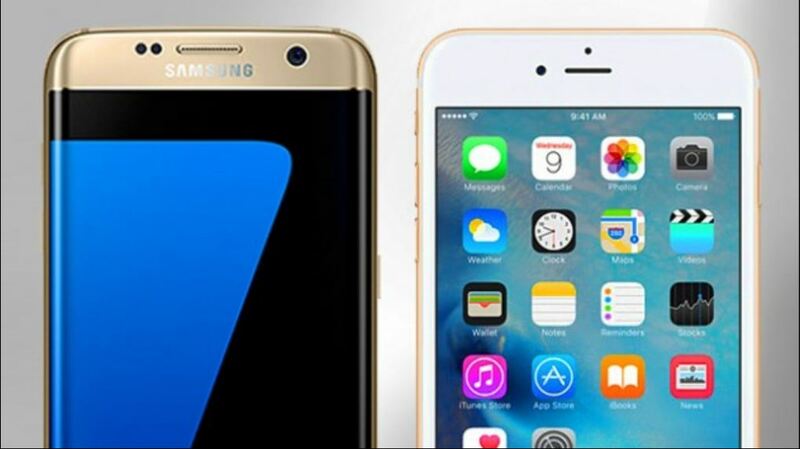 While its rival Apple iPhone 7 plus and iPhone 7 will be available in the next month or October. Let’s sneak peek at the specification of both devices which they are offering now. The Korean Flagship sports a 5.7 inch Quad HD Display with curves on both sides of the display giving subtle look to the phone while the iPhone 7 plus will come with a 5.5-inch display although last year its resolution was 1920 x 1080 full HD and this year it is not clear yet. Samsung Galaxy Note 7 comes in 2 variants one come with Samsung Exynos 8890 processor and another international variant comes with Snapdragon 820 processor, this beast comes with 4GB of LPDDR4 RAM. Reports are saying that iPhone 7 plus will pack 3GB of RAM and will be powered by Apple A10 chip. Note 7 back mounted camera sports a 12-megapixel sensor with an f1.7 aperture which helps to get bright pictures in dark conditions. The new iPhone 7 plus will come with a dual camera setup on the back, source BGR. The internal storage capacity on the Note 7 is 64 GB which can be expanded via a micro SD card up to 256 GB. The iPhone 7 plus model is likely to come to 32 GB as a base model while moving further to 64 GB and 128 GB respectively. Unfortunately, Apple devices do not support micro SD expansion. An extra security feature from Samsung comes built-in with Note 7 that is Iris Scanner, USB Type-C connector, and S-Pen stylus these are the features of Galaxy Note 7. Rumours are that Apple iPhone 7 plus will come with all new redesigned Force Touch Home button. And also there is no audio jack which is instead replaced by another speaker grill at the bottom along with lightning connector. Galaxy Note 7 comes with hefty price tag of 849$ while the iPhone 7 plus will have a bumpy price of 900$. Samsung has launched its own cloud service which will enable Galaxy Note 7 users to back up their device data to the cloud. This cloud feature is also available for Galaxy S7 edge and Galaxy S7 via an over the air update.